Slice each circle of pita bread in half, then each half into three wedges, so that each pita bread yields 6 small wedges. 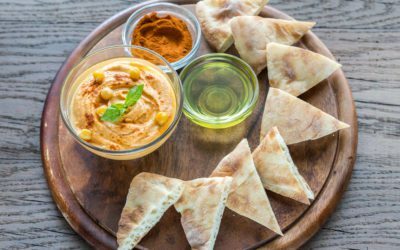 Arrange pita triangles on a tray with chilled dips and serve immediately. Serving size: 6 pita triangles. Exchanges per serving: 1 starch. Carbohydrate choices: 1.